There are only a few hundred bottles available at Piermont Fine Wine & Spirits. But of those that are? 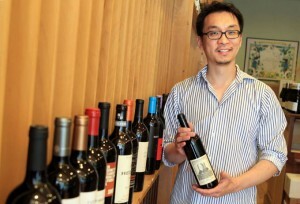 Owner Jung Kim knows every single one like an old friend. That attention to detail is one of the reasons we’ve asked Kim to be our wine expert-in-residence for the next three months. For the next 12 Wednesdays in Life&Style, he’ll choose our LoHud Wine of the Week, and include tasting notes and suggestions for pairings. (His first recommendation, Ameztoi Rubentis Txakolina Rosado 2011, a rosé from Spain, is here.) At the end of the 12 weeks, we’ll review our Mixed Case, and recap the choices assembled by Kim. Then we’ll introduce a new expert. Should we need a suggestion for pairing wines, such as for a July Fourth barbecue, we’ll turn to him. And when we do, it’s likely he’ll choose a wine from a small production, family-owned vineyard, usually from Europe. 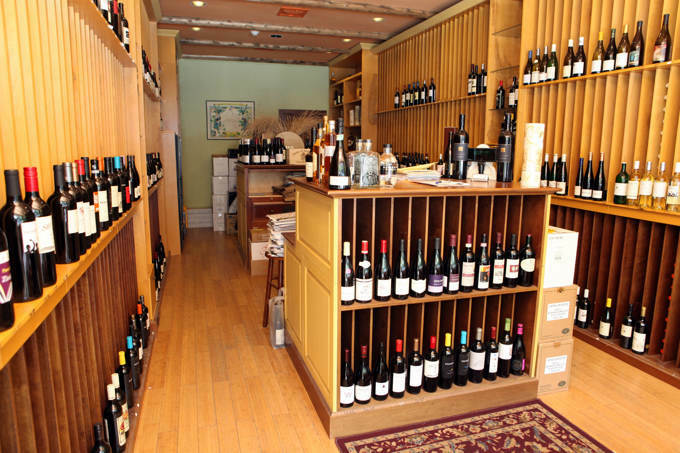 Those Old World wines are what he focuses on at his shop, a 400-square-foot cozy little nook in Piermont. The shop gets its neighborhood feel from its wooden wine shelves; a massive, custom-made desk that serves as his checkout area; and, in the big storefront window, a comfy little bench and table with stacks of newspapers to peruse. Kim also zeros in on value. He’s is the kind of owner who will steer you toward a less expensive bottle, even if you’d already made up your mind to spend more. Jung didn’t start out as a wine geek; he was a math geek, studying engineering. But he started taking classes at the International Wine Center in Manhattan and he sort of fell into the business. Now he prefers to engineer a good wine pairing for his customer’s dinners. And he has one more passion, too: music. You’ll always hear something on the stereo — classical, jazz and opera, mostly — when you step in to the store. So along with a bottle of wine, you might take home a suggestion for some music to match, too. And you never know what either might be.